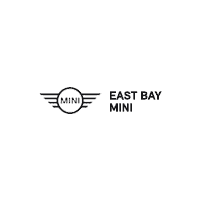 Bay Area drivers on the hunt for a used MINI need look no further than the MINI used cars for sale here at East Bay MINI. While you may be able to shop local used cars at any number of dealerships throughout greater Fremont, our Bay Area MINI store in Pleasanton is the place to find used MINI Cooper cars for sale. Whether you’re in search of a used MINI Countryman or a classic used MINI Hardtop 2-Door, you’re sure to find the used car you’re looking for at a price that’s just right. Plus, we’re also proud to offer an assortment of Certified Pre-Owned MINIs! Browse our selection of used MINI cars in the Bay Area below, as well as our rotating used MINI specials, and calculate your estimated monthly payment. Then contact our Pleasanton MINI dealership to schedule a test drive of the used MINI you’ve been eyeing!